Oppo has officially launched a new device to the F5-series called Oppo F5 Youth. Oppo F5 Youth is the lower version of the F5 phone that was launched few weeks ago. The difference between Oppo F5 Youth Edition and the Oppo F5 are the RAM size, internal memory and camera. Aside these, they are both exactly the same. The Oppo F5 Youth Edition packs a 3GB RAM plus 32GB internal memory, 4G LTE enabled, featuring a rear-mounted fingerprint sensor. The cameras are 13 megapixels rear and 16 megapixels front selfie camera. 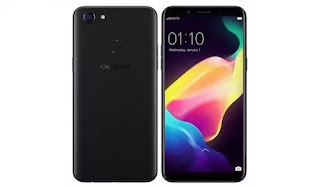 Have a look at the full Oppo F5 Youth specs, features and price below. Launch Price: Philippines 14,000 / $279 USD. Well it's got reasonable specs but the price isn't so youthful. The phone is good with a better ram. But the price is nothing to write home about.